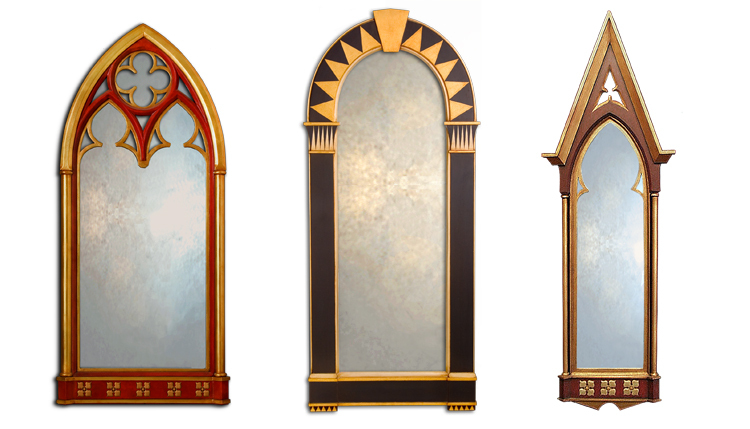 The key difference between my Decorative Dress Mirrors and any other dress mirror isn't their beautiful designs or the quality of their gilded finishes it's the fact that they are handmade mirrors and as such I can customised them to the right size, proportion and finish that your tastes or requirements dictate. If you get these right then you transform hat would otherwise be an ordinary decorative wall mirror into a stunning focal point in a room. This level of customisation would normally be prohibative but by dealing direct I think you will find you can afford to get it right! See for yourself by clicking on any of my dress mirrors below.